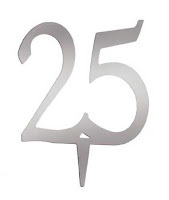 The Nautilus Running Club will celebrate its 25th Anniversary with a Gala Dinner and Dance Saturday January 29 at the Bungalow in Bowring Park. The evening will start 7:30 pm with Hors d’Oeuvres and Champaign followed by a 3 course dinner including wine. Entertainment will be provided by The Dana Parsons Band. The cost is $25 per person payable by cheque at the door to the "Nautilus Running Club". Dress "Business". Please CLICK HERE to RSVP and indicate your menu selection.